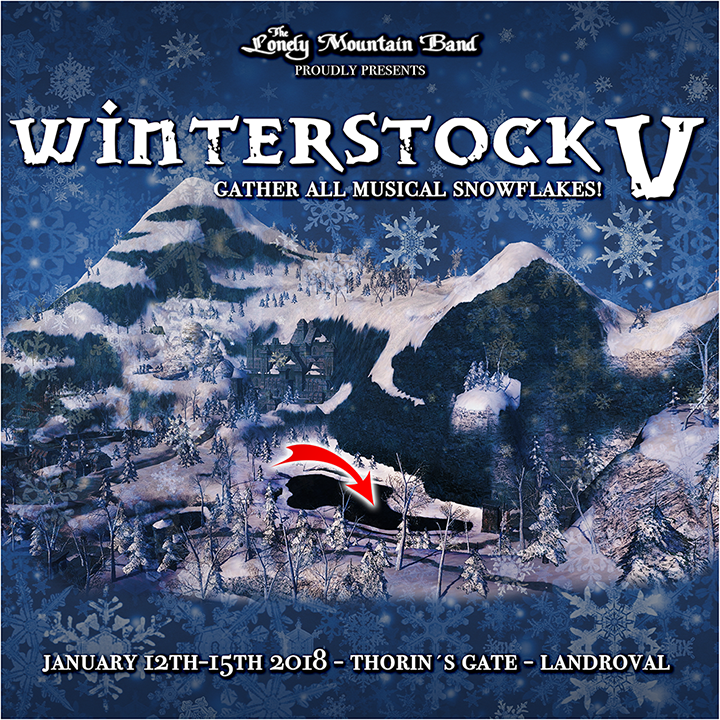 On behalf of the Lonely Mountain Band, it is my pleasure to announce ... the Return of the Winterstock Music Festival in January, 2018! Winterstock V will be held from Friday January 12th through Monday January 15th, 2018. Yes, yes, it is dreadfully early to make such plans. 'Better safe than sorry' as some gaffer used to say. Please make a note of it anyway. Band Registration will occur in *November*. Please make a note of that, also. We had something like Eleventy Dozen Bands perform last year, give or take a few elevens ... okay, maybe it only seemed like Eleventy Dozen bands. It was still quite a lot! Please note: Winterstock is *NOT* a band competition, it is a celebration of music. We do hope that you can join us for this epic event! Write it down ... Winterstock V: Friday January 12th through Monday January 15th, 2018.